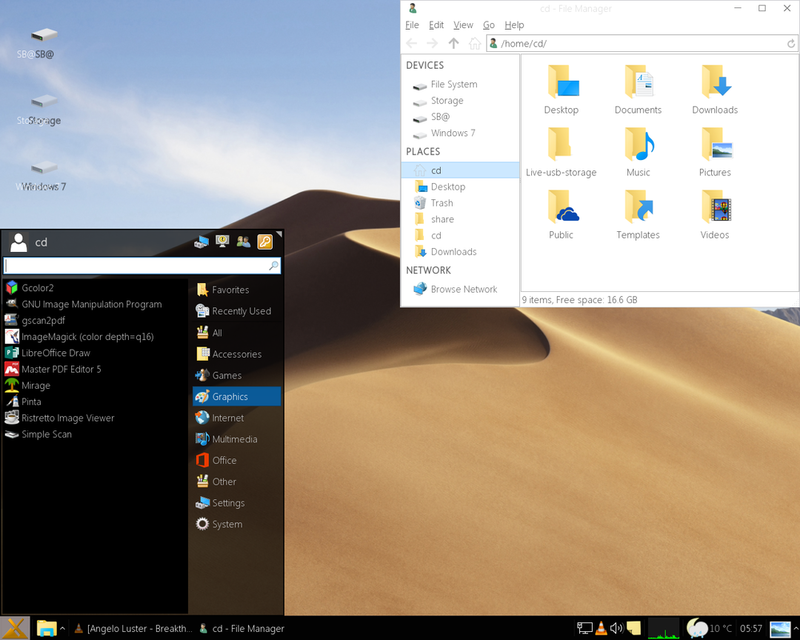 Nice looking desktop davemx . 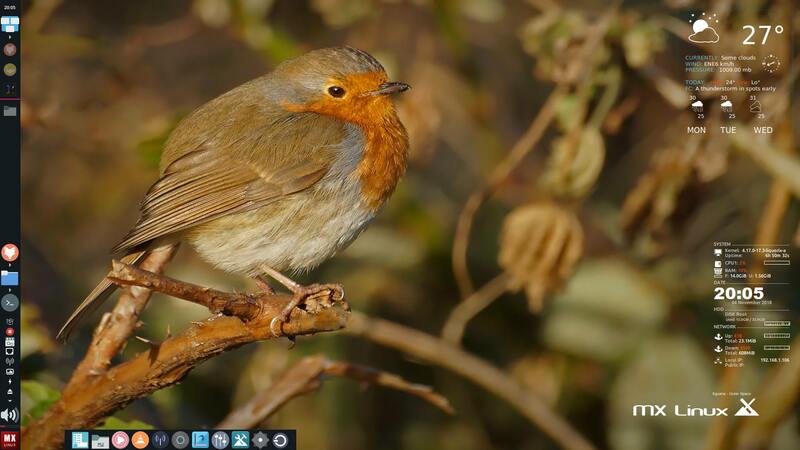 Wallpaper is by forum member ChrisUK, who takes terrific wildlife photographs. 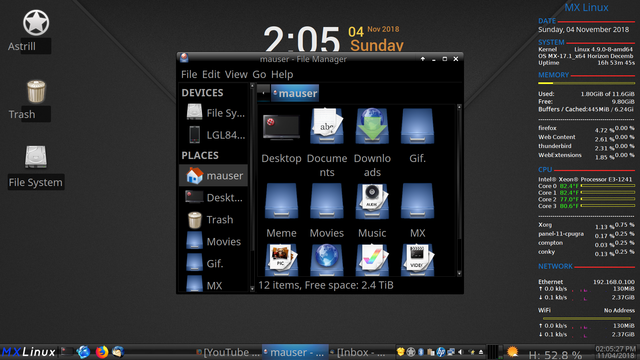 Conky at top-right is slightly adapted from forum member male's squarish weather conky (thanks!). Conky below that is "colours-conky", a conky I downloaded long ago from who knows where, but www.NoobsLab.com is cited in the conky itself. And there's a tiny radiotray conky at the bottom from a script by loutch. Nice. :) I have those icons set up sometimes. Nice theming too. I had what may be a similar disaster awhile back. Google Chrome tried to take over. Messed up a lot of my settings. Have not yet re-installed MX. I will PM you on it.